Solar power has a powerful impact. Generate your own clean energy, reduce your monthly electricity bills, protect yourself from rate hikes and use those savings to empower your life. It’s a substantial payoff, and you get the feel-good bonus for doing the environmentally right thing. This, combined with the efficacy of producing your own power is the foundation of Solar Universe. Solar Universe is and has consistently been one of the top 5 solar companies in the Nation. 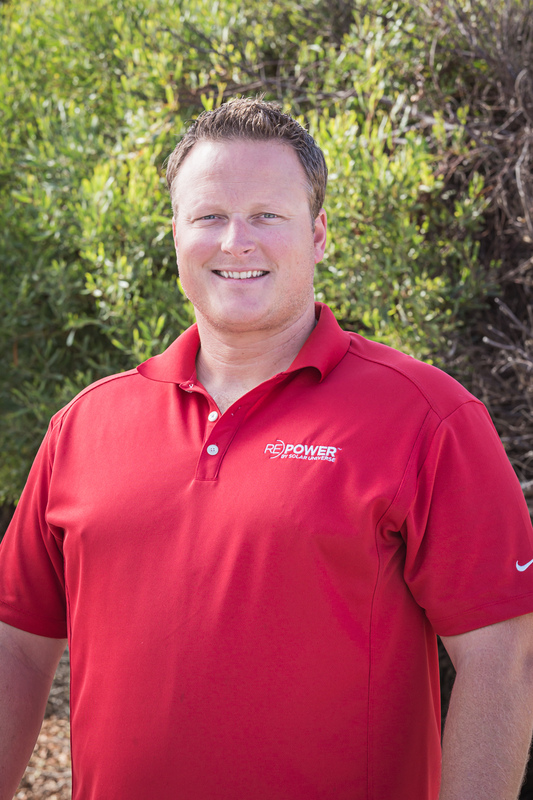 Founded in 2008 by Joe Bono, Solar Universe has steadily grown into one of the largest residential Solar Installers in the United States while providing the industry’s only franchise opportunity. We operate in a network of over 40 franchises across the U.S. from Hawaii to Puerto Rico. We have installed a whopping 46 megawatts of Solar and since 2012 have ranked annually on Franchise Magazine’s Franchise 500 list. In addition to being a local solar solution, we are also a licensed and insured Owens Corning roofing contractor. We have over 20 years of roofing experience, both commercially and residentially. We are one of the only companies that can install your brand new roof, put solar on it, and still maintain your lifetime warranty for your roof. We provide only top tier roofing products and have one of the best warranties in the business. We are your neighbors. We live and work where you do, and we care about what happens in our communities. Solar is a word-of-mouth business, so we work hard to build strong relationships in every home, block, and neighborhood we visit. Our goal is to provide an easy choice to homeowners who want better, more affordable power, and the ability to manage their home more efficiently. 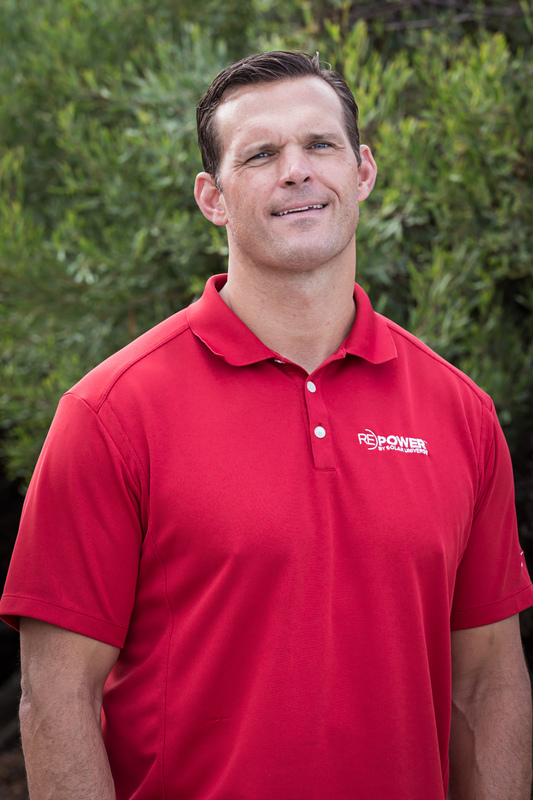 From our local owners, installers, and outreach and enrollment specialists, to everyone on our corporate team in Livermore, we are dedicated to bringing the best quality service to every customer. 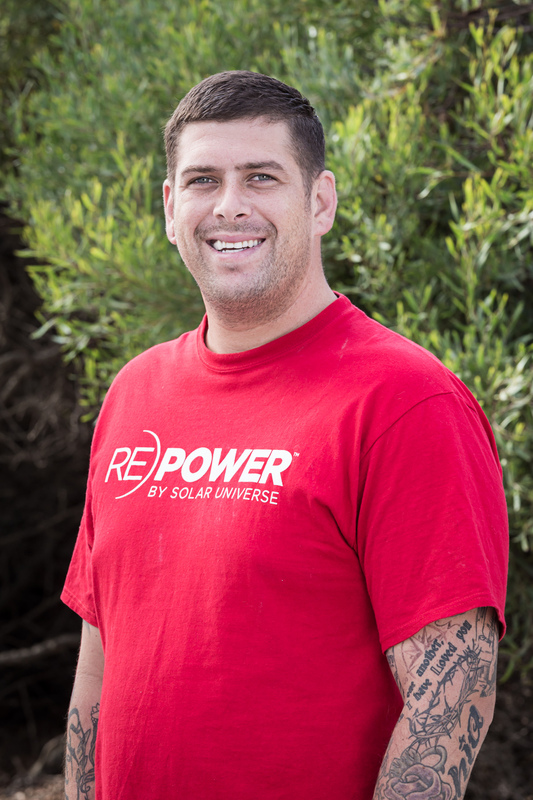 Byron is Ian’s brother and the general manager here at Repower Solar and Roofing. Byron went to school at Bonita Vista High. He is married to his lovely wife, Kim, who does the accounting and human resource development here. When he isn’t working, Byron is either out mountain biking, surfing or riding his dirt bike. After finishing school, Ian spent the first 7 years of his career in construction management. After construction management, he moved to a career in Life Insurance finance with PRG Financial Resources. He oversaw the issuance and financing of over $500M of life insurance policies. Outside of work, he spends most of his time with his wonderful wife, 3 boys and a dog. Together they get into adventures, whenever life permits. Born and raised in Chino; grew up learning how to build houses with his father who was a contractor. 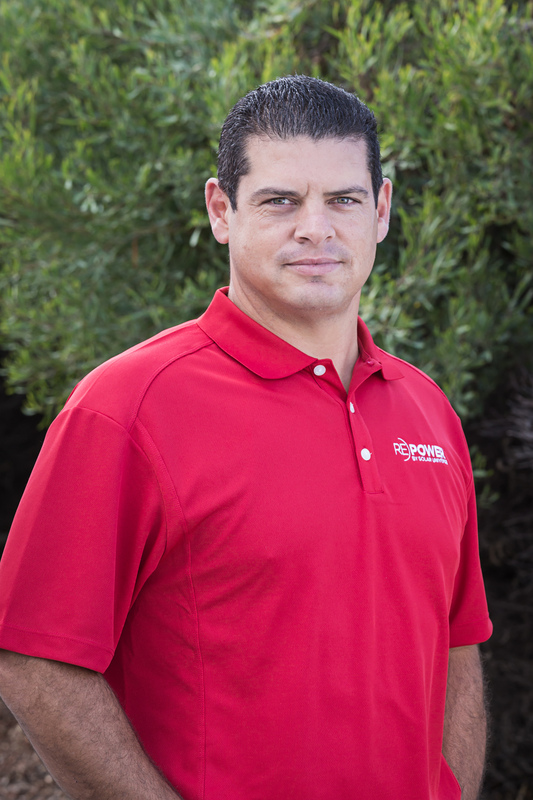 Joaquin got into electrical work in 2007 when he became a contractor himself. 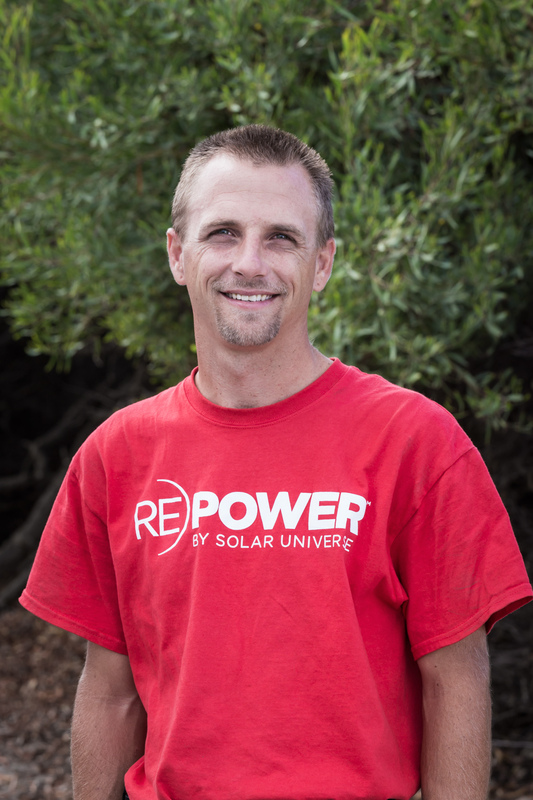 He floated around the solar industry, from Sunpower to Solar City, until finally finding his home here at Repower. 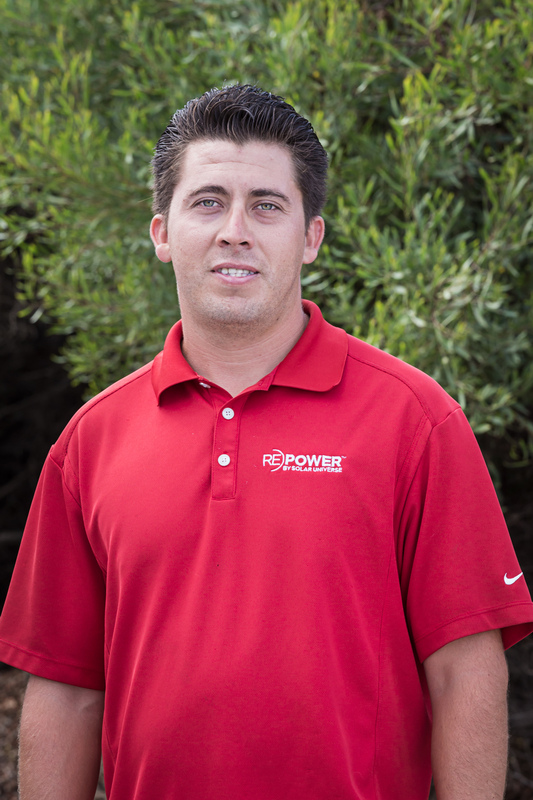 Matt handles the operations and project management at Repower. He studied marketing and communications at Chico State. He owns a dog (wolf/pitbull hybrid) named Odysseus whom he takes with him hiking all over San Diego. Depending on the season, you’ll catch him on a skateboard, surfboard or snowboard. Nick Romero was born and raised in San Diego. He attended San Diego State University where he had the privilege of playing baseball for the great Tony Gwynn. 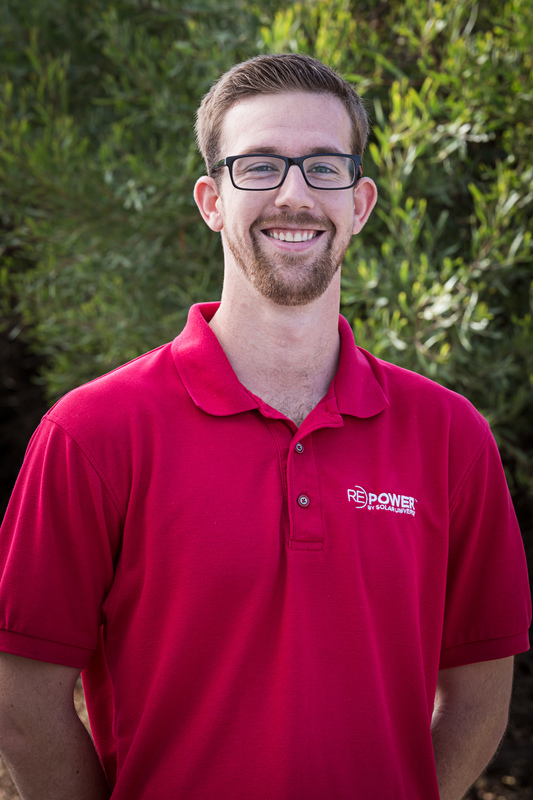 He began working for Repower back in 2014 and he loves being a part of what the company has been able to grow into. 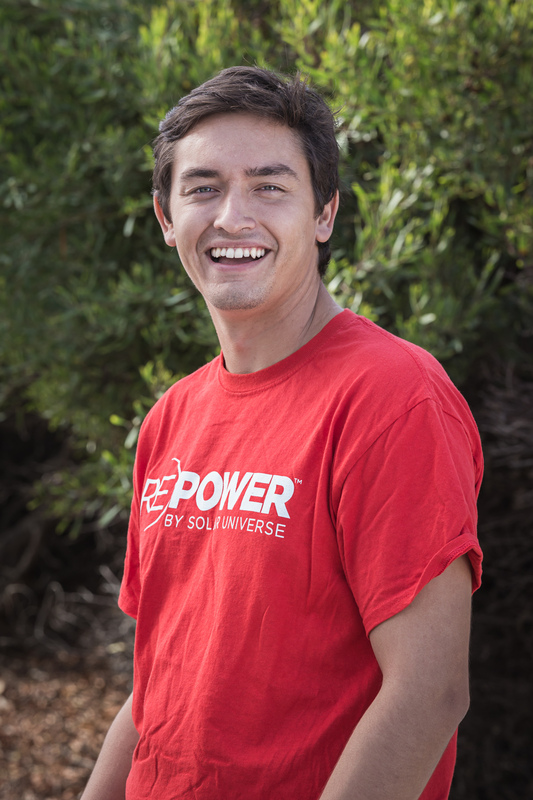 Nick loves the idea of giving people the opportunity to save money on their utility bill, all while using clean electricity! 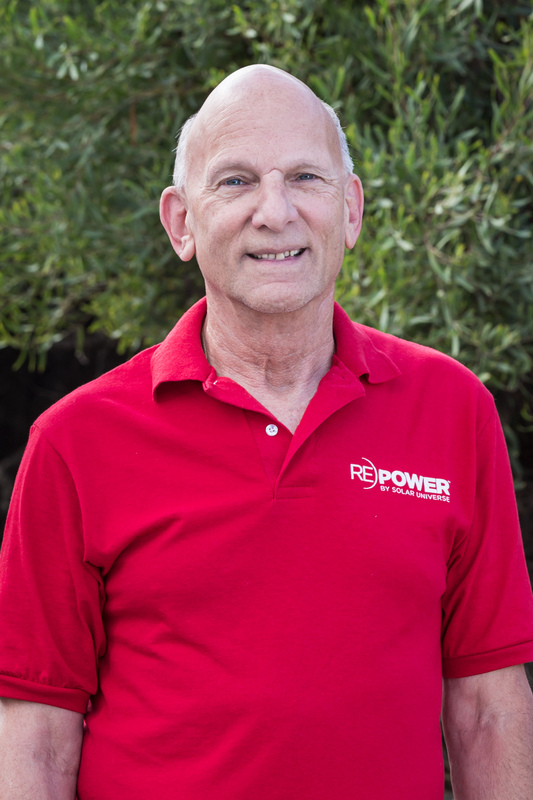 Ed has been in the solar power industry for over 12 years. He learned the business from the Roof down (or ground up) and learned first hand how to measure roofs, correctly size a solar system, identify any problem areas or roofs and answer any questions a customer may have with regards to the solar installation and their achieved savings. When he’s not working you might find him baby-sitting his grand-children or out riding a motorcycle. 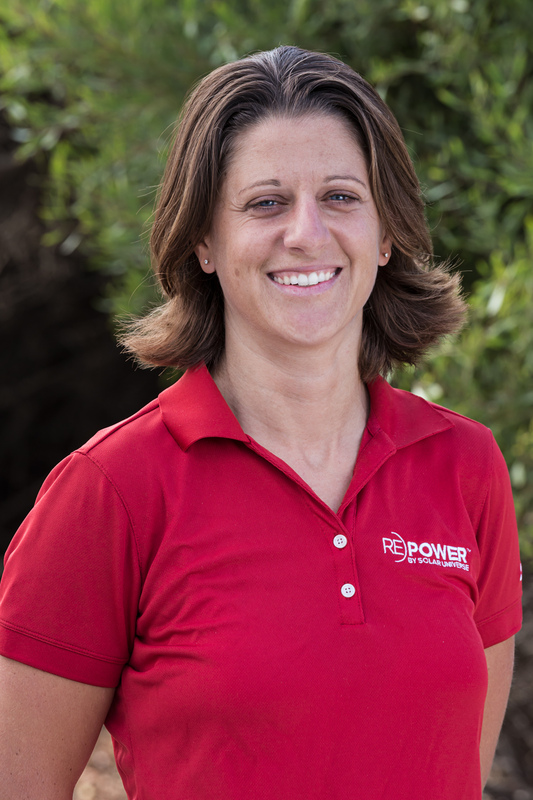 Corie Schneider is a Sales Advisor for Repower. She was born and raised in San Diego, got a degree from UC Santa Cruz and sailed around the world surfing and diving before entering the solar industry. Corie's favorite part of the job, aside helping her clients go green, is figuring out the best possible way for them to go solar - including program, layout, and financing options. That, and knowing her clients will get the absolute best products on the market gives Corie great satisfaction. Gabe is a native-born San Diegan; went to Helix High school in La Mesa. He is married to his wife Tracy and has 3 great kids: Bella, Gabe Jr. and Rocco. 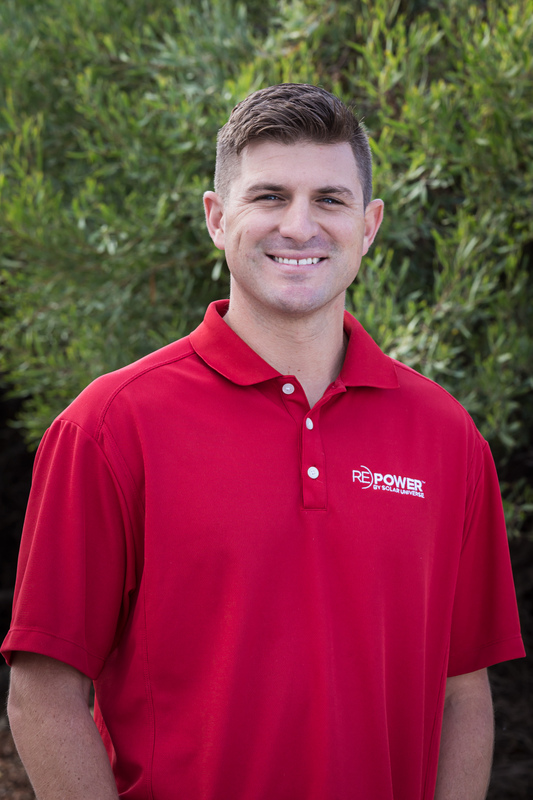 He has been working with Repower for over 3 years. He truly believes green energy is the future. He coaches football and loves watching his kid play sports. Tod was born in Fullerton and moved to San Diego when he was 16. He went to Abraxas high school which is where he met his gorgeous high school sweetheart Kelly. They were married in 2008 and now have 3 beautiful children. John is the proud father of two beautiful girls. He was born and raised in Southern California. John skates in his free time and is a self-acclaimed artist; which is why each of our installs has an aesthetic and artistic touch.